When routing general playback audio through the USB and AVB interface for the Series III Rackmount Mixer 24R and 32R is done within UC Surface which needs to be downloaded and installed on your computer first. Note that if you have not Updated the firmware on your Rackmount mixer, you will want to do this before continuing with the below instructions. NOTE: Universal Control and its drivers require the latest Service Pack on Windows 7 and 8.1. If you run into errors installing the driver, please see this link for clarification. 1. Make sure that your StudioLive is powered on and connected via USB. 2. 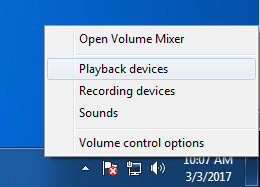 On your Windows system, Right-Click on the Speaker in the lower right hand corner > Click "Playback Devices." 3. 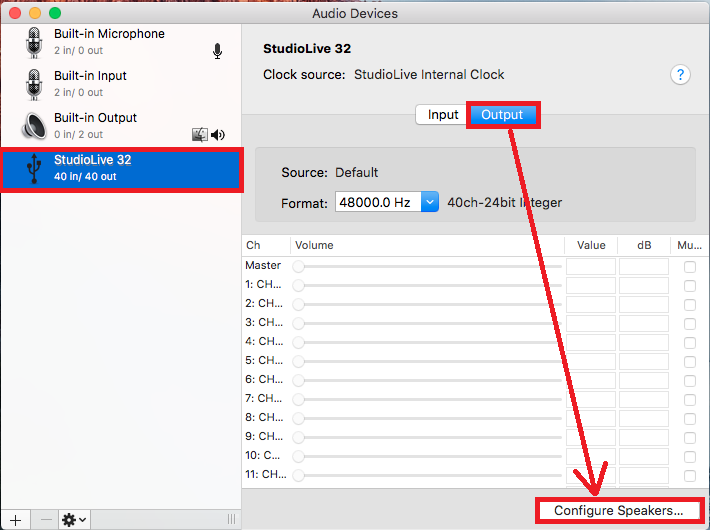 Make sure to find and select your StudioLive 32 device and select it as the Default Playback Device. 3. In UC Surface after selecting the mixer, make sure focus in the Channel Detail area the Digital Return and configure it to source USB. 4. If you'd like to play the audio through your headphone output, you can assign the "Phones Cue Source" on the Settings Overview page of UC Surface to the "Main." It will listen to all input faders/buses assigned to the main, before the main fader's position. You should now be able to play back audio from your computer to the Digital In channel on your StudioLive Series III mixer on your PC computer. 1. 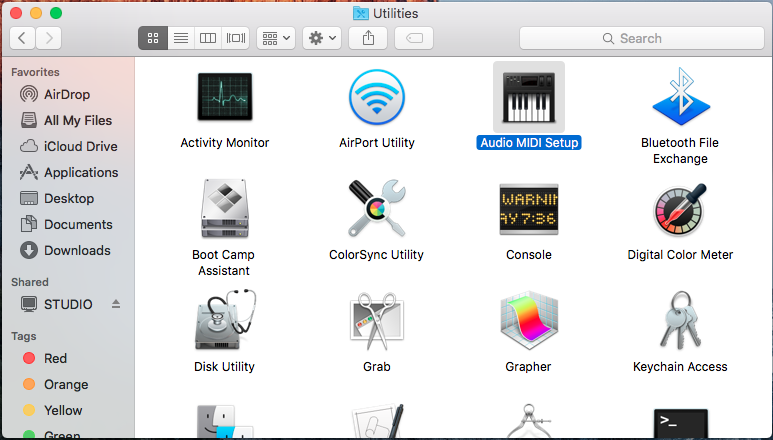 Click on the Apple in the upper left hand corner and go to "System Preferences" > Click on "Sound" in System Preferences. 2. In the "Output" tab, make sure to select the "StudioLive" mixer you are using device from the list. In this situation, we are routing using the USB interface. To learn how to setup the AVB Network interface on the mixer, see the knowledge base article Using AVB with a StudioLive Series III mixer and a Mac. You will then find the StudioLive Rackmount listed as an interface. This designates the StudioLive Series III mixer as the Sound Output device for OSX System Audio. 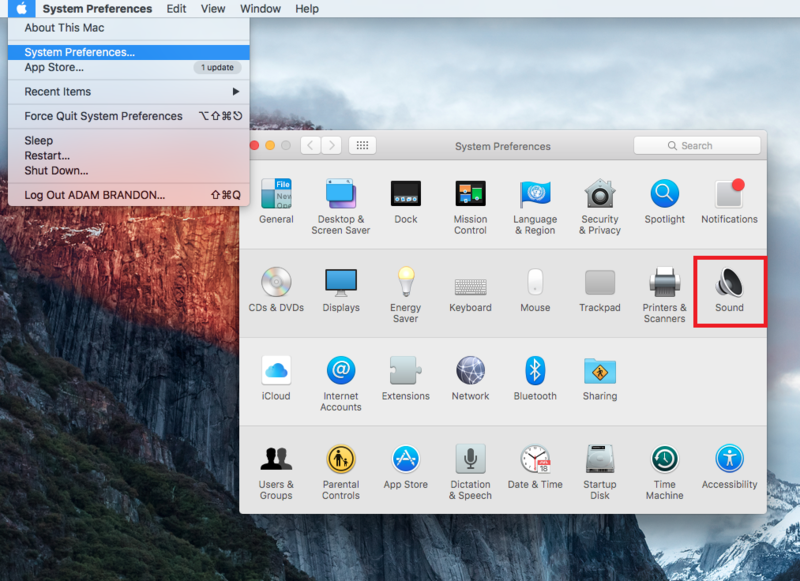 By default, OSX uses the first two channels of any device. This means that by default, system audio playback will output to the USB Returns of Channels 1 and 2 on the mixer. 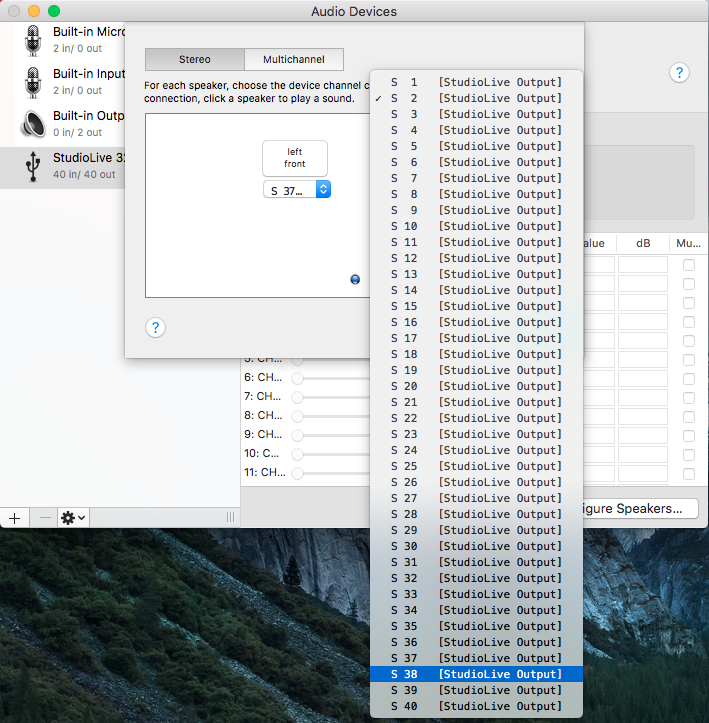 In OSX, it is possible to choose what device channels that are used to output audio to. 4. Select the "StudioLive" in the list of devices and click on the "Output" Tab or the network interface you setup from the AVB article. At the bottom of the dialog box should be a "Configure Speakers" option. 5. On the Stereo mode selection, make sure to change the input for Left and Right to 37/38 respectively. Click "Done" when finished. StudioLive 16r Users NOTE: OSX / macOS output will show channels 1-18 only. Set to 17/18 for LR to have playback on the Digital Return channel. 6. In UC Surface after selecting the mixer, make sure in the Channel Detail area for the Digital In that you've configured your Digital Return to USB. If you are using the AVB input configured eariler around step 2, use the Network input. 7. 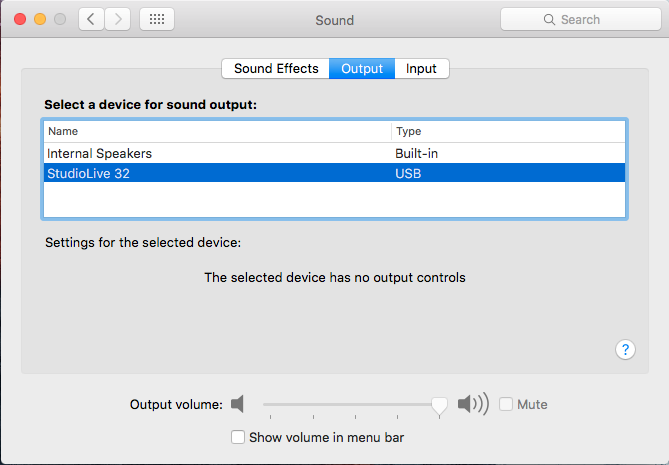 If you'd like to play the audio through your headphone output, you can assign the "Phones Cue Source" on the Settings Overview page of UC Surface to the "Main." It will listen to all input faders/buses assigned to the main, before the main fader's position. You should now be able to playback audio through the Digital In on your console and playback general audio. If you still need assistance, please Contact Technical Support.